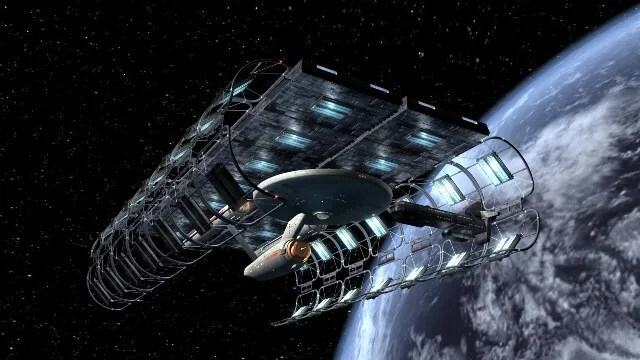 I’ve done one shot so far of the Enterprise in space at warp. The test came out well and is based on the images displayed below. But today I started on the second shot. This was one of the I always wanted to see. Haven’t you? The Enterprise meshes and textures are mine. So is the Earth and the star dome. But I found on STMC and great dry dock mesh made by Nico Weigand in Germany. The Lightewave version was reworked by MattC. It was so good I just had to use it. Here’s the basic setup for the next scene. There’s still work to do but my first render was breathe taking so I thought I’d put it up for those following along. 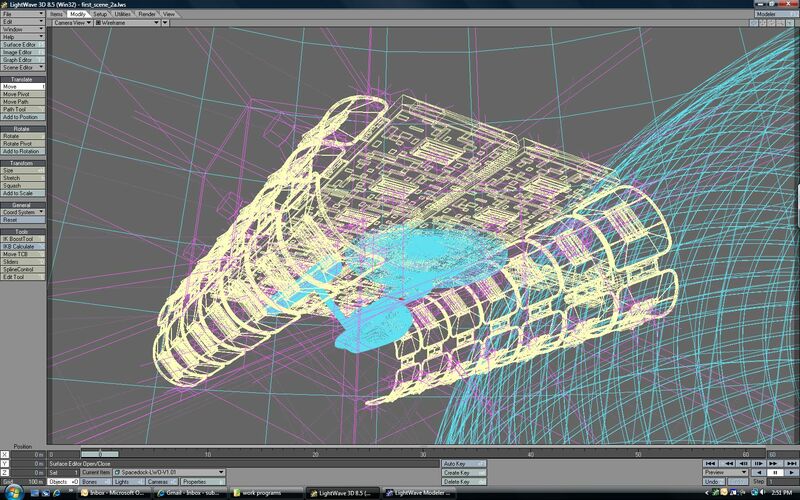 Also a screen cap from layout in Lightwave. As you see I’m not doing a full comp but rather have all the objects in the same set up with my lighting set to only target specific objects.